Install and running samurize for the first time. Install the latest version of samurize that you will find at this address. Here are some instructions in how to create one or more instances of samurize. This will help you to run multiple configs at the same time on the desktop. 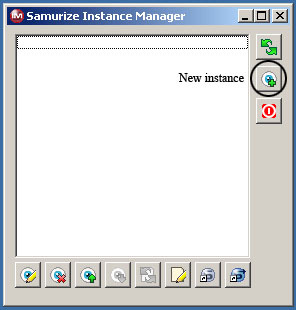 Launch the program Instance Manager from the samurize folder in the start menu. Create a new instance that you call test. 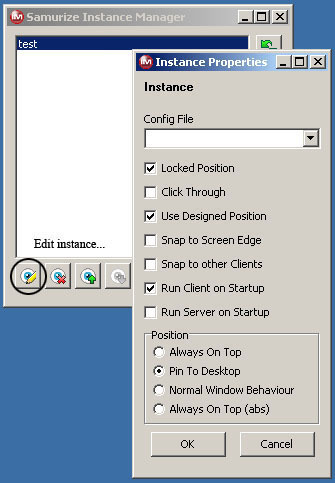 Select the instance you just created and click on the button edit instance. Select the config you want to use from the list of configs. Select the check boxes according to the image below. When you click on OK there will be a shortcut created in the autostart folder in the start menu. If you would like to have a shortcut on the desktop you will need to click on the button Create Client Shortcut. Use the shortcut in the start menu/autostart or the one on the desktop if you made on there. 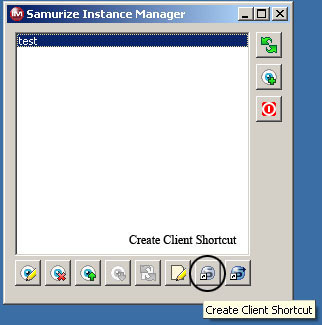 If you did everything right the config will be launched and a samurize icon can be found near the clock in the system tray. 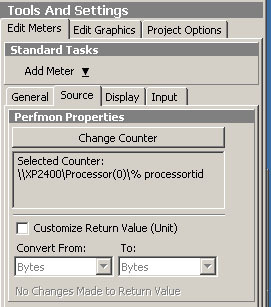 Change the CPU-meter in a downloaded config-file. 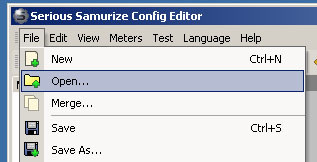 Launch the program config tools from the samurize folder in the start menu. Open the config file that you would like to edit. 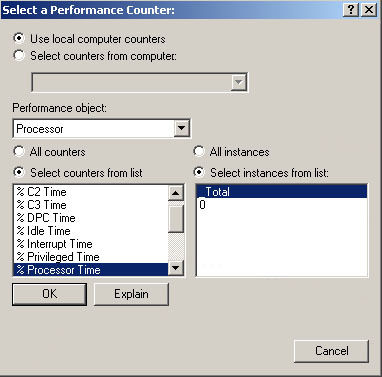 Select the meter containing the CPU counter. Can be a text meter or a graf of some kind. The settings for this meter will be available at the right side. Select the Source-tab and click on the button Change Counter. Ignore any error message. Select the settings according to the image below. 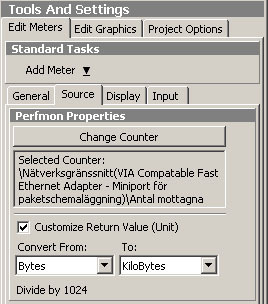 Change the network meter in a downloaded config-file. Open the config-file that you would like to edit. Select the meter containing the network meter. Can be a text meter or a graf of some kind. Sorry for the swedish screenshot. Use a local counter. The performance object that contains the network is the network interface. 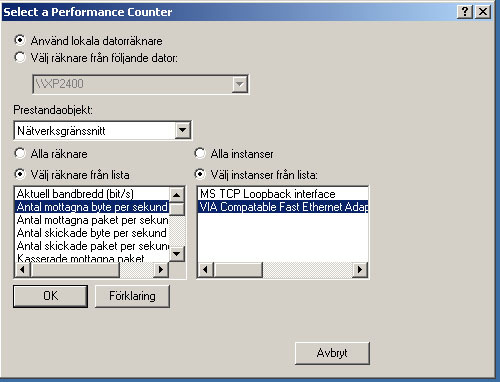 Then select the byte counter that the network meter displays. Change the weather location in a downloaded config-file. The code for your city can be read after /local/, copy this into Weather.2004.ini. No weather icons on the desktop. 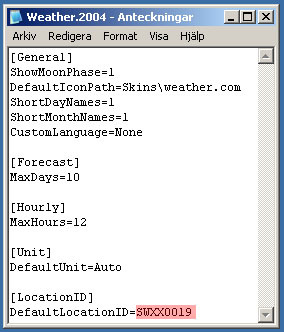 Extract them into the folder "samurize-directory"\Skins\weather.com.